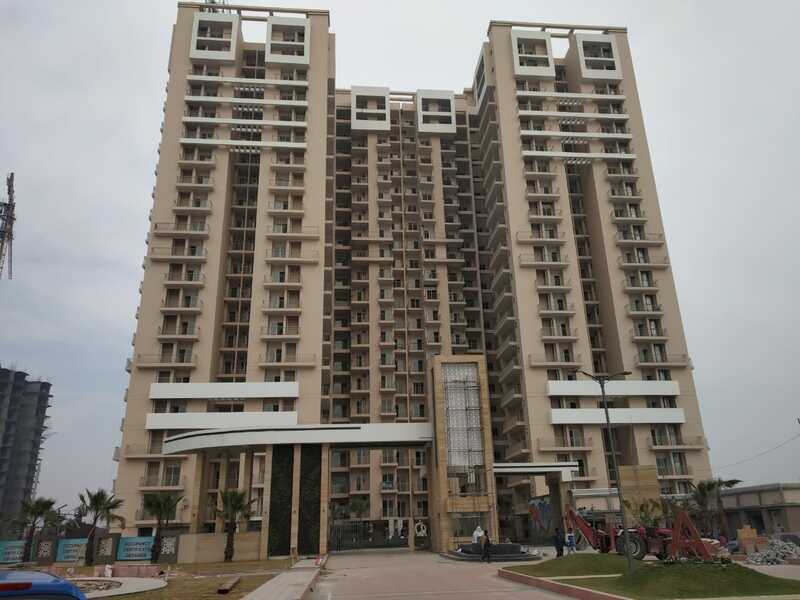 Arihant Amber (Ready to Move Apartment in Noida Extension) this is luxurious residential project that is built to match your lifestyle and status. 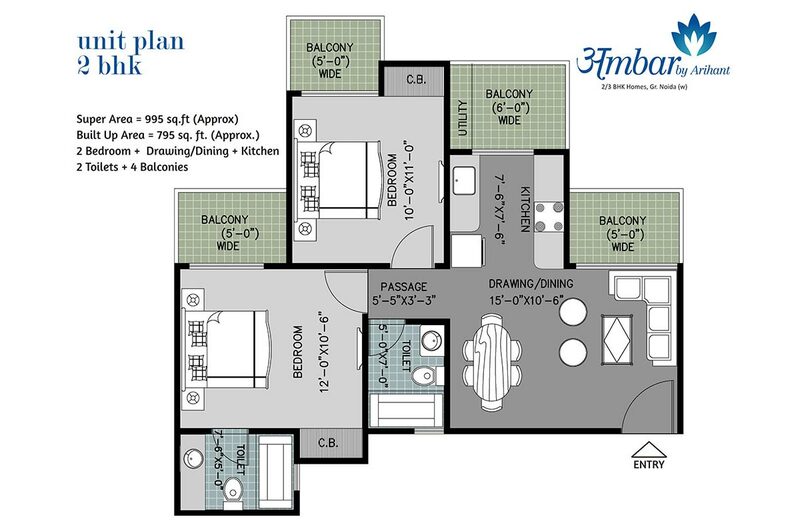 We are presenting Arihant Ambar with 2 bhk & 3 bhk apartments in Noida Extension. 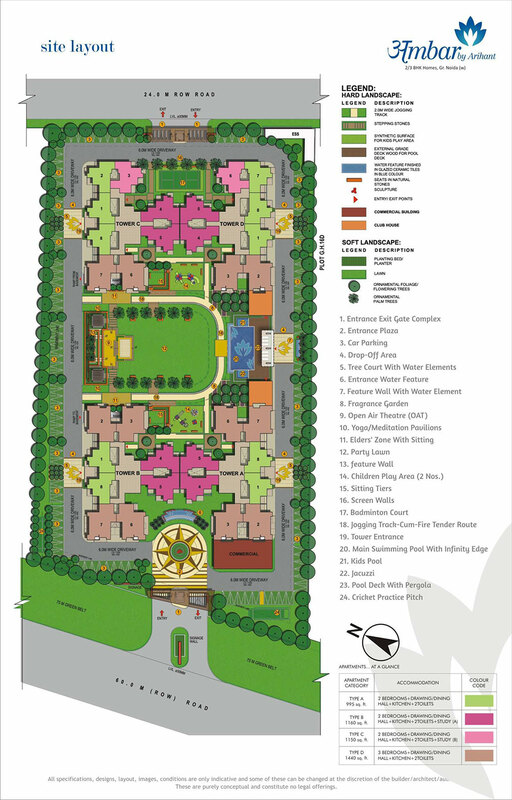 The 2 BHK apartments have a minimum area of 995 - 1380 Sq. Ft. and the price range starts from Rs.34.82 Lacs onwards, Along with that a 3 BHK apartments have a minimum area of 1440 Sq. Ft. and the starting price of this 3 BHK apartment is 50.40 Lacs and onwards And also available commercial shop in front side, so you do not need to go anywhere for shopping. The apartment is made of 4 towers consist of 20th floors in each and total of 400 units, Arihant Amber is located at prime Location of Noida Extension, one of the most preferred location for the upcoming residential properties in Greater Noida West. 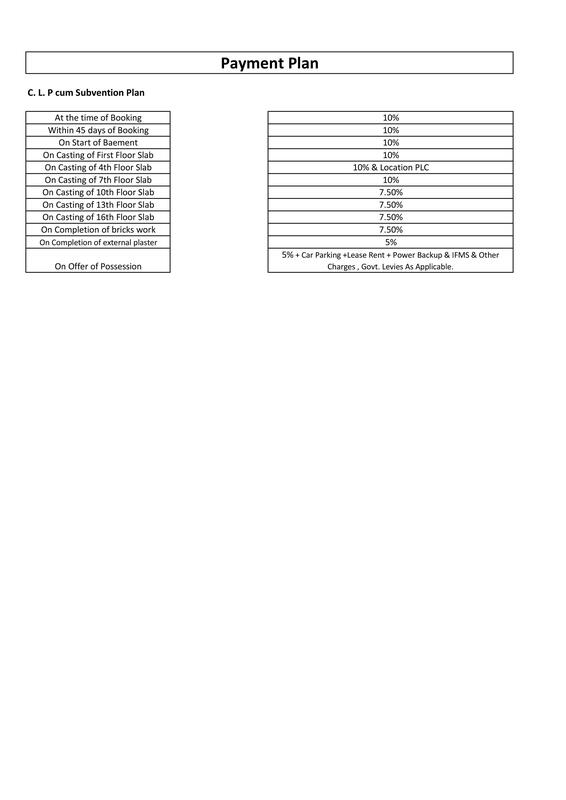 The residency shall be set up over a total area of 4 acres. Which include a Two high speed Lifts for every tower, swimming pool, a state of the art gym, club house, RO water system in the Kitchen, Full Power Backup, Earth quake resistant, a kids play area, a sports facility, All the apartments are vastu compliant, a jogging track, an intercom facility, yoga Centre, Indoor and Outdoor Games, CCTV Cameras, Car Packing, 24*7 water and power supply are always available in the apartment that no one has to live in the darkness. The areas social infrastructure is well-developed and it has Malls, shopping Complex, premium educational institutions, Schools, hospitals, bank and ATM branches in the neighborhood. 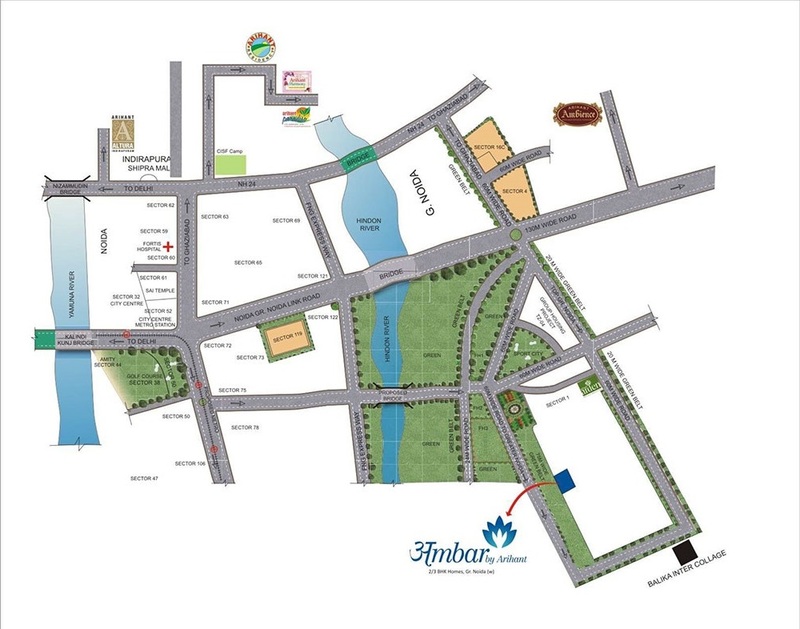 We Arihant Ambar, offer you 2 bhk & 3 bhk residential apartments in Greater Noida West. 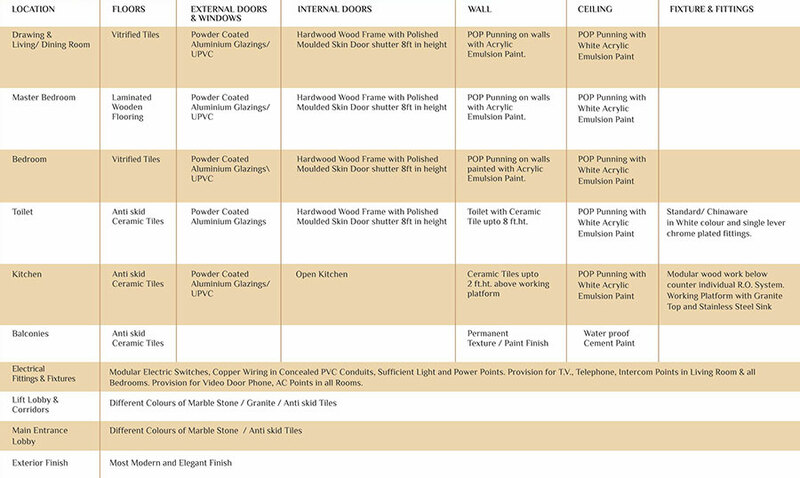 The 2 BHK flats are available in 3 sizes i.e 995, 1150 and 1160 sq. 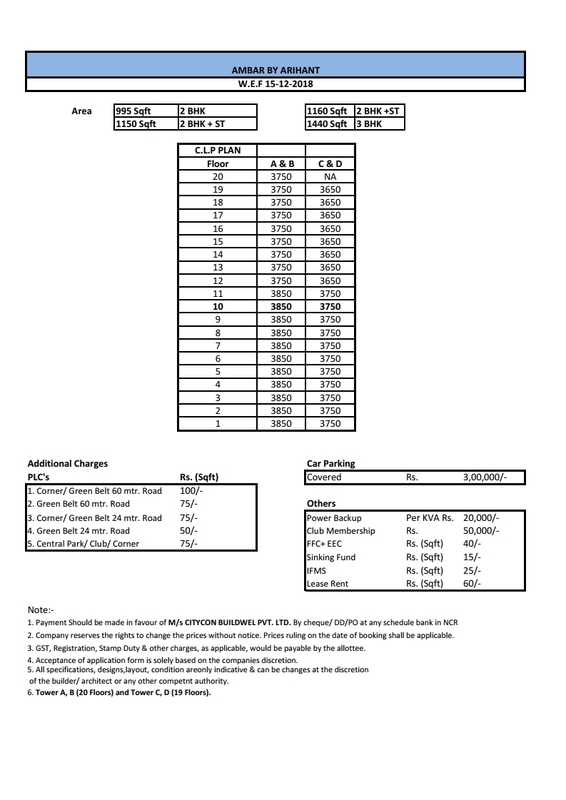 ft. and 3 BHK is of 1440 sq.ft. 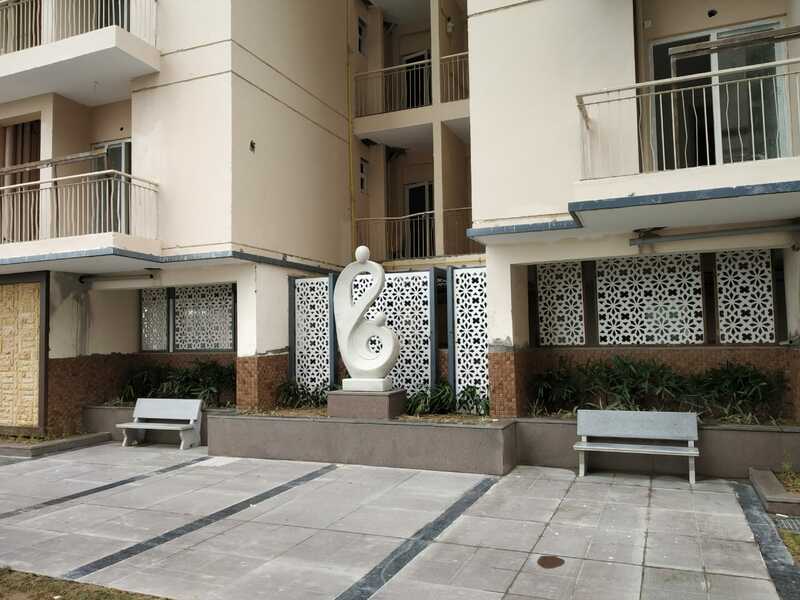 2 BHK + 2 Toilet - Saleable Area: 995 Sq. 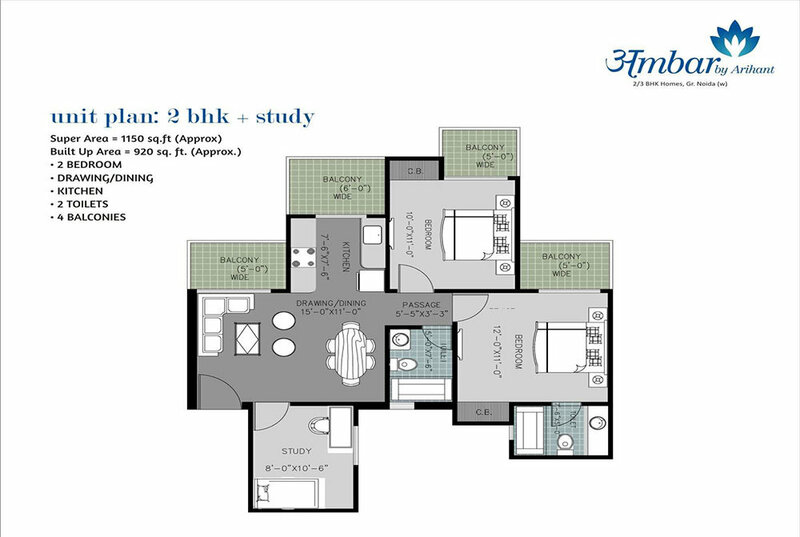 Ft.
2 BHK + Study,+ 2 Toilet - Saleable Area: 1150 Sq. 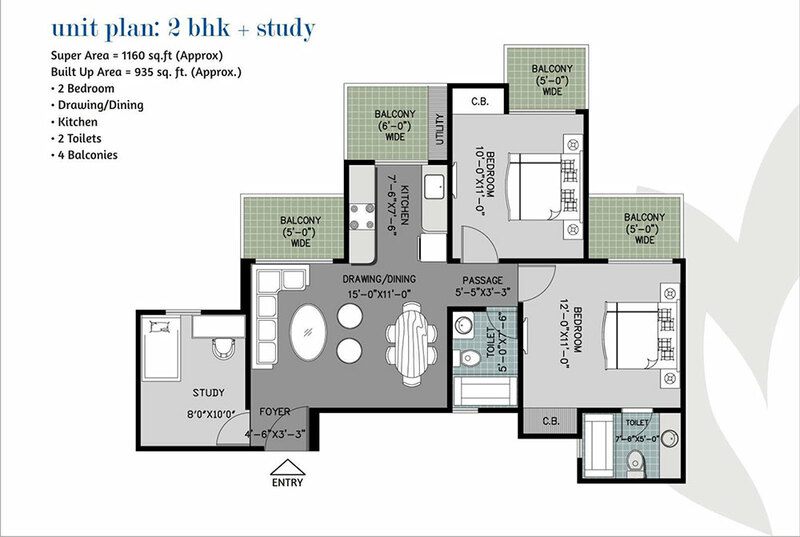 Ft.
2 BHK + Study + 2 Toilet - Saleable Area: 1160 Sq. 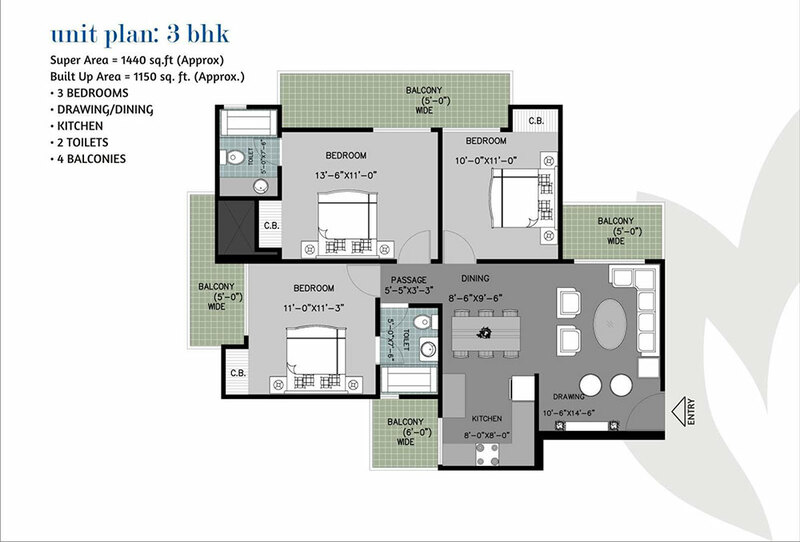 Ft.
3 BHK + 2 Toilet - Saleable Area: 1440 Sq. Ft.